The S.M. 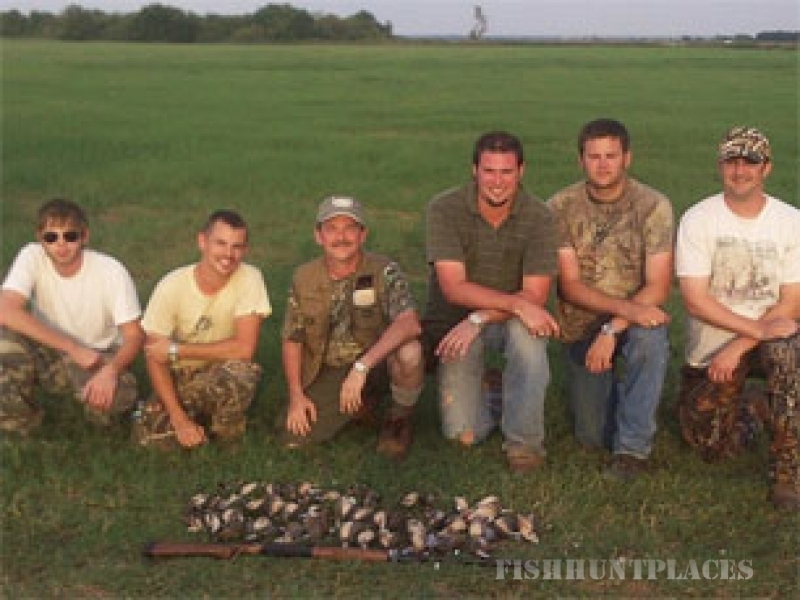 Brown Game Bird Ranch near Nocona, Texas is North Texas's premier game bird hunting and fishing destination. Nestled along the banks of the famous Red River on the Texas and Oklahoma border, S.M. Brown Game Bird Ranch is one of the few remaining Texas Ranch Heritage sites in the state, and, after four generations, remains an active, working ranch to this day. Since 1999, we've taken great pride in providing hunting enthusiasts with the most exciting, authentic game hunting and fishing experiences anywhere in the country! Our 800-acre ranch is easy to reach, yet impossible to beat when it comes to natural beauty, comfort and down-home, Texas hospitality. Whether you're hunting Texasbobwhites, pheasant, quail, partridge, dove, turkey, squirrel, duck, deer, or varmint, S.M. 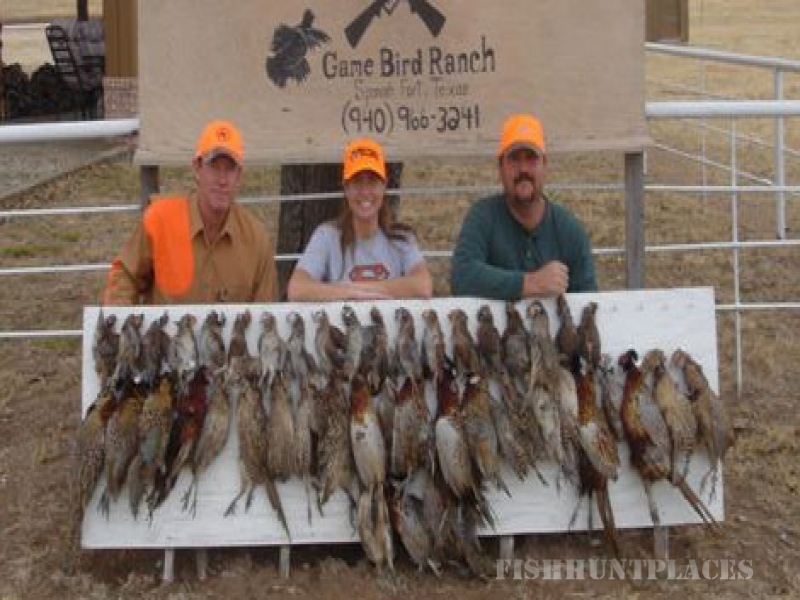 Brown Game Bird Ranch takes great pains to ensure you a challenging and exciting hunting experience. Guests are provided with the companionship of the most reliably trained hunting dogs to be found anywhere. From our personally raised and trained hunting dogs like German Wirehairs and German Shorthairs (many imported directly from some of Germany's most distinguished dog breeders), to our Red Setter hunting dogs and pointing Labs, hunters will be rewarded with their outstanding abilities, adding to your hunting success and enjoyment. We offer several upland hunting packages that include hunting for quail, partridge, and pheasant with well-trained birddogs, as well as hunting packages for European Pheasant Shoots, dove hunting and duck hunting. Our hunting season runs from Oct. 1 through Mar. 31, with morning hunts running from 9 a.m. to noon and afternoon hunts from 2 to 5 p.m. (weather permitting). All half and full-day packages include guide, well trained bird dogs, cold beverages and snacks as well as our bird cleaning and packing service. All-inclusive (overnight/multi-day) packages include comfortable accommodations and delicious, home-cooked meals. S.M. Game Bird Ranch also specializes in hunting and pointing birddog trainingand offers off-season dog boarding, bird dog stud services and the selling of highly trained and specialized birddogs. Whether you're a novice wingshooter or an expert wing shooter, the hunting habitat at S.M. Brown Game Bird Ranch is both breathtaking and memorable.